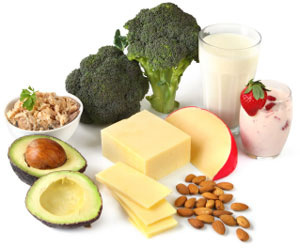 A carefully planned osteoporosis diet can be an effective natural treatment of osteoporosis, the progressive bone disease that causes bones to become weaker. This disease is most common in females due to hormonal changes that occur usually as a result of the menopause. Therefore it is said that it can affect half of women aged between 45 and 75 although men can suffer from osteoporosis as a result the side effects of certain medications. What are the factors that influence osteoporosis? Many people have the impression that osteoporosis is caused only by a deficiency in dietary calcium and that it therefore can be remedied by taking calcium supplements. This is not quite correct. It is the way calcium is absorbed and used by the body that seems to be the most important factor, not the amount of calcium being consumed. Include garlic and onions in the diet, as well as eggs (if your cholesterol level is ok), as these foods contain sulphur, which is needed for healthy bones. Consume whole grains and calcium foods at different times because whole grains contain a substance that prevents the uptake of calcium. If you are or have been menopausal include lots of soy products in your diet. Soy is rich in substances that can sometimes substitute your body’s own oestrogen if it is manufacturing too little. Decreases in oestrogen levels are strongly associated with osteoporosis. Avoid calcium-depleting drinks such as soft drinks and alcohol. Avoid smoking, sugar and salt. Limit the amount of citrus fruits and tomatoes in the diet as they may inhibit calcium intake. Avoid yeast products as yeast competes with calcium for absorption into the body. If you are taking medications such as thyroid hormones or diuretics, consult your doctor or physician about the effects of calcium levels in the body and consider taking a calcium supplement. Take plenty of regular exercise! 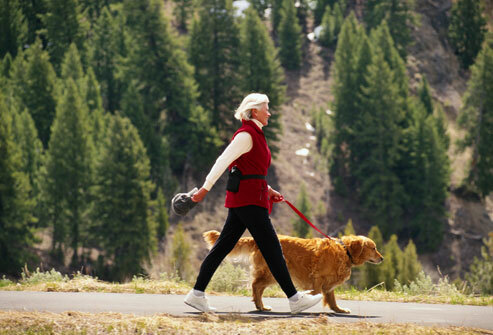 Walking is the best exercise of maintaining bone mass.